No country has become a regional or global power without the ability to project military power in the region or across the globe. The Navy and the Air Force are major players in developing this capability. India’s land centric or continental fixation has created a very large Army which continues to grow. The Navy and the Air Force are much smaller and in their present sizes and shapes cannot support the nation’s long term ambitions. India must expeditiously rebalance the mass of its three Services. The Navy and the Air Force must grow and get much larger allocations of the Capital Budget. Their manpower ceilings also need to be increased. The Parliamentary Standing Committee on Defence, an entity which can be of considerable influence, was until a couple of years ago, headed by a film actor. What can the nation thus expect out of our politicians and bureaucrats? Modern armies are increasingly equipment-intensive and technology dependent. This orientation places a great premium on efficient maintenance, periodic upgrade and timely replacements. It also impinges on manpower skills. The new generation soldier has to be mechanical minded, technology savvy and better educated. This shift has been an ongoing challenge for commanders, trainers and material managers. Crucially, this transformation requires adequate fiscal support, as modern equipment and capable manpower comes at a cost. It also places a greater responsibility on the civilian eco-system that provides and sustains the materials and manpower for the armed forces. The whole paradigm of military capabilities has thus become more complex, expensive and specialised. In the Indian context, the armed forces have responded to the changes with some alacrity albeit inadequately. Unfortunately, two critical civilian entities, specifically the civilian military bureaucracy and the defence industry just do not comprehend their criticality towards national military capabilities. Despite numerous committees and reports like the Kargil Review Committee, the Ajai Vikram Singh Report, the Naresh Chandra Report, the Transformation Study by General V.K Singh and many more, there has been near total inertia on the ground. The all-knowing bureaucrats holed in on the first floor of the South Block, have single-handedly stymied the best of intentions and advice. Authority without accountability has resulted in an unimaginable downgrade of the war fighting ability of our forces. For political expediency, the innocent citizens are periodically fed misleading and misplaced bravado conveying a false sense of security. The Parliamentary Standing Committee on Defence, an entity which can be of considerable influence, was until a couple of years ago, headed by a film actor. What can the nation thus expect out of our politicians and bureaucrats? Revealing the truth in matters of National Security invariably involves treading a very thin line. The need for discretion vis-a-vis stating facts to facilitate wider and better understanding of our true capabilities is indeed a challenge. With this backdrop, this article endeavours to put many realities in the public domain so that the nation knows what the Armed Forces, particularly the Indian Army, are capable of today. Hopefully, revelations that follow, should trigger a wider debate on the true state of our military capabilities and what needs to be done to ensure our forces are worthy of the trust reposed in them. India has the second largest army in the world with about 1.2 million soldiers. It has the complete spectrum of weaponry required to fight any type of war from nuclear to low intensity/sub-conventional. For reasons that will be discussed later (when India’s military industrial complex is examined), most of the equipment, especially combat equipment, is imported and is largely of Soviet origin due to historic political conditions. Only in the last decade or so has the Indian Army diversified its import sourcing. Most of the imported equipment, especially tanks, artillery guns, electronic warfare equipment and much else is well past its technological generation and stipulated life span. Ideally, combat equipment should be in the following ratio: 30 per cent approaching obsolescence; 40 per cent mature technologies; and 30 per cent state-of-the-art. As a thumb rule, the technological and maintainable life span of most combat systems is 30 years. Ironically, almost 70 to 90 per cent of Indian Army systems are in the obsolescent category, with a near negligible percentage being state-of-the-art. This situation has come about due to approximately two decades of abject neglect of modernisation, greatly exacerbated in the last ten years. It cannot be easily undone, even if unlimited money is made available. Current pattern of fiscal allocations, which are unlikely to change drastically, will make modernisation even more difficult. For the uninitiated, let it be conservatively stated that with the kind of efforts seen over the last year, it will still take 10 to 20 years to restore some sort of conformity to the technology spread of 30:40:30 stated earlier. As a corollary, our cutting edge field formations will NOT be fully battle ready in the interregnum. A scary deduction indeed! Wait, the reality gets scarier when we juxtapose the war reserves to the paradigm. The Army holds no war reserves at all for most major combat equipment. Should war break out, the fighting units will get no replacements to recoup losses; the longer the fight, the lesser the fighting potential. 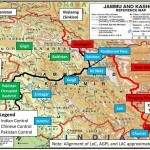 The Indian Armed Forces have been mandated to fight a 30-day, high-intensity war on two fronts (North and West). To sustain the effort and to retain certain flexibility, the government has promulgated the 30:30 concept for most war reserves including ammunition (and missiles) for most major weapons especially tanks and guns, which are required to deliver the heavier fire power in combat. Before the above is dubbed as alarmist, a few facts are highlighted below, without being too specific. Most of our tanks and infantry combat vehicles are not fit to fight through a nuclear attack zone due to non-availability of particular type of air filters, as also perished rubber seals, that help create overpressure in the crew compartments. The individual protection kits for soldiers under nuclear attack are either incomplete or grossly short in numbers. The often touted tactical nuclear threat from one of our adversaries (Pakistan) will be hard to handle, should such a situation arise. That this threat is remote and unlikely is true but what if? And now, a quick review of our capabilities to fight a conventional war. Conventionally, Indian military has a concept of ‘punitive deterrence’ in the West and ‘dissuasion’ in the North. The force levels and organisational structures are generally adequate albeit with certain expedients like dual tasking of some formations from East to West and vice versa. What is of some doubt is the ability to fight a 30-day, high-intensity war, simultaneously on both the fronts. The major weaknesses here, again, are on account of continuous neglect. Readiness for combat is dependent on equipment mission readiness, which simply defined implies capability of equipment to be functional for stipulated exploitation parameters. To elucidate, a few hypothetical examples will help. Tanks and infantry combat vehicles should be able to move certain kilometres, run certain hours and fire certain amount of ordnance over a given period. These parameters are in turn derived from theatre-specific operational plans. Similar parameters are derived for artillery guns, air defence, communications and logistics equipment. It is a complex exercise done jointly by military operations and logistics specialists. Most modern armies, particularly the Western armies, have developed sophisticated models for the purpose. Ironically, the Indian Army has no formal, comprehensive and validated effort in this direction. There have been personality driven efforts at Army and theatre levels, but these have no formal approval. This attitude is partly influenced by the blinkered mentality of avoiding raising of heckles. Most informal, though reasonably dependable studies have revealed glaring gaps in mission reliability. It would not be prudent to be specific, but suffice it to say that the harsh reality is that most of our critical equipment will suffer major mechanical attrition and may not be able to be battle fit through the 30 days of war. When the non-availability of war reserves alluded to earlier is superimposed, it will probably result in a situation where even more of our warlike equipment is not ‘combat worthy’. Attrition due to enemy action will compound the deficiencies. As per traditional wisdom, a combat unit ceases to be a functional entity when it suffers equipment or manpower losses in excess of 66 per cent of its authorisation. It can be stated with a fair degree of conviction, that a number of Indian Army units will be organisationally dysfunctional, well before the 30-day period of combat is over. How are we faring in the sub-conventional or low intensity conflict arena, the kind of operations that go on 24×7 in Jammu and Kashmir and parts of the North East? It may surprise some that the Indian Army is holding very few ‘within stipulated life’ Bullet Proof Jackets (BPJs). Many troops are going for missions wearing jackets that are beyond their stipulated life. Ammunition for the AK rifles is still imported and availability is below authorised levels. Indigenisation is dragging on at a snail’s pace. 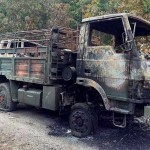 Indigenous mine blast protected vehicles are sub-par. There are some imported vehicles, but these are obsolescent. Consequently, troops are making do with what they have. It is not that problems have not been anticipated and actions initiated by the Army Headquarters. The problems linger despite the strongest of exhortations to the Ministry of Defence (MoD). The case for emergency procurement of 50,000 BPJs is languishing for the last few years. There are many such cases, including the infamous delay in procurement of submarine batteries for the Navy. What has been stated is the tip of the iceberg; otherwise the Indian Air Force would not have been down to 34 squadrons against an authorisation of 44. The Navy would not have had to face the ignominy of a Chief of Naval Staff resigning. Unfortunately, the real culprits get away and continue to flourish in higher appointments, including constitutional ones. The nation invests very heavily in its armed forces who are mindful of the responsibilities; but the apathy of the government functionaries in authority is bewildering. So rampant is the bureaucratic foot-dragging in the garb of due vetting, that the formalisation of the contract for procurement of 36 Rafale fighters is still “work in progress”. With this kind of a system of higher defence management in our country, would our enemies have any worries? Little wonder that our deterrence has been eroded and one of our neighbours is needling us ad lib and having a field day. former Master General of Ordnance, Indian Army. Sir, The War reserves is indeed a matter of concern especially if India is forced to simultaneously engage the enemy in the West and North/North-East. How can this be rectified? Political masters will never understand this issue and similar other issues. Chest thumping and R-Day pageantry can make us proud but cannot help us win wars. 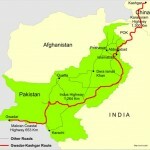 And today, the border standoff with China is escalating with China hardening its position. You are writing like a layman and do not keep any information like defense officers and thinking about World war II . if the Advanced Protection System (APS) to protect the tanks from missiles. is effective, how could the ISIS terrorists have targeted a Russian-made T-90 main battle tank with an anti-tank guided missile near the village of Drehym in the area east of the town of Khanasser in the province of Aleppo.Pro-ISIS sources claim that it was totally “destroyed” and the released video shows a burning T-90 tank sources claim. So I am not Caught in a time warp of 1971 war. You should technically prove Agni II is not a sustitue to fighter planes. This is a democrtic country and you cannot stop me writing comments. At the most do not read my comments. You do not know the pupose of human life and wasting time . At the outset, Mr. Govindan bring some dignity and grace in your language. You are not only caught in a time warp of the 1971 conflict , you are incoherent as well. You probably cannot think logically and mix up facts with hearsay. Secondly Mr. Govindan T-90 does not have APS fitted on it. Please do some research and determine which are the tank systems which have APS fitted on it. The Russian T-14 Armata has it and the new Israeli Merkava MB tanks (Mark IVm Windbreaker) have the Trophy counter measures. Agni versus Fighter aircraft: Fighters are designed for multiple purposes, such as reconnaissance, interception of unidentified aircraft, and anti-ship and ground defense. A missile can only hit a target, moving or stationary and once launched there can be no recall or even change of target. Fighters have tremendous flexibility. (Probably why Israelis use their fighter aircraft for all special missions). And by the way Agni II is a strategic ballistic missile which will be classified as a weapon of peace or deterrence and not for conventional conflicts. So much for educating you!!! Do not pass any stupid judgment on the intelligence of readers posting in this forum; your comments are stupid, irrelevant and out of context. So once again shut up and update your self and don’t cite the democratic country argument because people like you do not know the meaning of democracy and fredom of expression. This is just a catch phrase and no one should fall in its trap to think some modern weaponry and its spare parts can be designed and manufactured locally by signing contracts with external sources. The question to ask is, does India possess the scientific technical expertise to “make” such items? Advanced nations have reached their technological capability by investing huge monetary resources over many decades. And that is where the Indian State’s mentality and desire is lacking. The entire resources of the country is used for beefing up administrative and financial sectors. What is the career prospect of younger generation to dedicate themselves in science and research compared to say an IAS or banking career? There is gross imbalance if one sits down and scrutinises. Until such issues are corrected and the state machinery is modernised in this regard, India will always lag behind the best of the world in military technology so far as “Make in India” is concerned. As the saying goes, if there is a will, there will be a way. Are you related to the communist traitor Krishna Menon? I am a communist traitor. How do you know Krishna Menon is a communist traitor. He is a Communist. This shows your general knowledge is very poor. Commies have spoiled the country. They spoiled the work culture of the working class people. They taught the workers their rights and not their duty. They preach violence. So your idea about me is totally wrong. The people do not know the purpose of human life will ask this kind of questions. Otherwise, I have not written anything harmful to the motherland. People like Govindan who have lost their bearings must be kept away from serious discussion forums as the IDR. All he does is spew venom on senior officers. He has an agenda to derail discussions about the country’s security and military abilities. Caught in a time warp of 1971 he has little knowledge about the development of armament technology. For instance he states that “None of the tanks can withstand missiles.” He is not aware that there is something called Advanced Protection System (APS) to protect the tanks from missiles. https://en.wikipedia.org/wiki/Trophy_(countermeasure). And lastly, his recent comment does not make any sense. Shut up Govindan! Let sane Indians have a reasoned discussion on this forum. Very well written and informative, thank you sir. General Chabbewal has written very exhaustive and balanced article. Well studied and well intentioned articles like this are written and published. The effortsare worthwhile if the powers-that-be act upon them. It ‘should not prove to be a mere ‘aranya-rudan’. Precisely articulated and covered adequately. What is of essence is the synergy to be achieved between the so styled mandarins and the uniform.This would go a long way in acquiring appropriate teeth -to-tail ratios. Gopi. India’s politicians and babus under UPA had become paranoid about being kicked out for good reason by the armed forces and systematically downgraded the prestige, control and power of the latter to the point of reducing them to the level of house chaprasis armed with lathis and chappals. The proliferation of central police and paramilitary forces which are almost a second and third army in India is also reflective of this fear. It would not be an exaggeration to suggest that UPA had actually hoped that a major conflict and almost certain defeat would have made the forces even more subservient and non-threatening. Nothing else explains the steady and willful degradation of military power and prestige. The DPSUs today are nothing more than a revolving door for cash going back and forth between the ministries fueled by re-worked imports passed off as indigenous. After almost 7 decades of hugely unprofitable non-performance on almost every front, it is amazing that our leaders still consider these dinosaurs to be viable even though they pose such danger to India. On the other hand, our private sector is taking on global competition and succeeding not just in India but abroad. The scene is set for a revolution and it will come with or without the help of the bureaucracy. A good and timely review. But India has divorced all strategic and tactical thinking because, since 1947, India has been ruled by over placed and over powered, erudition, integrity, arithmetic and culturally challenged clerks who are not even capable of thinking, let alone citizen-centric administration. India does not have a clear strategic threat perception or strategic plan. If it did, there could be a periodical audit that throws up the variance or gap that needs to be filled together with a continuous update of both the strategic plan and scenario. India’s strategic thinking is at the level and contemporaneity of a clerk of the British Empire who was relieved of all accountability in 1947 but delegated the powers of the crown. 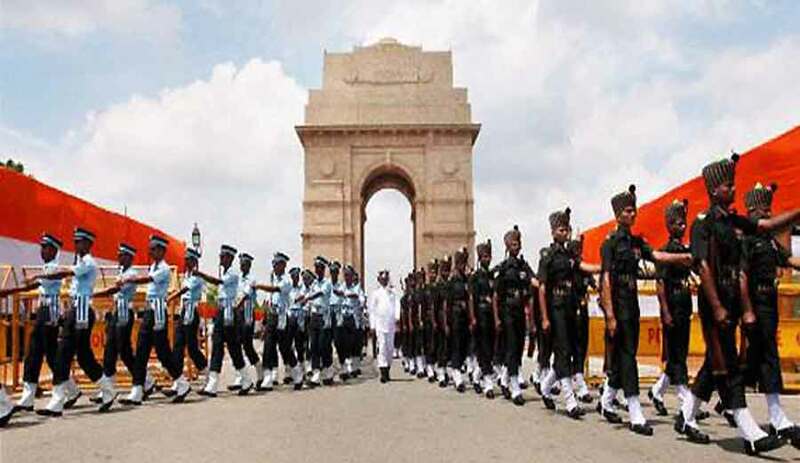 How can the armed forces that are expected to march up and down Raisina Hill, conduct funeral parades and kow-tow to such clerks for seventy years be any better? A thought provoking article. I spent a lot of time searching for spares during my tenure in the Provisioning cells. The scene remains the same even now. What with breaking down of USSR to the CIS countries and scattering of original equipment manufacturers; it was a herculean task to get the required items.The drive to get indigenous industries to manufacture the defence requirement never got the thrust it expected. Till we are self sufficient in that sector, we may keep shouting at the maximum decibel to be an ever ready defence, the fact will remain that we still depend on the foreign countries for our day to day sustenance of the equipment and weaponry.